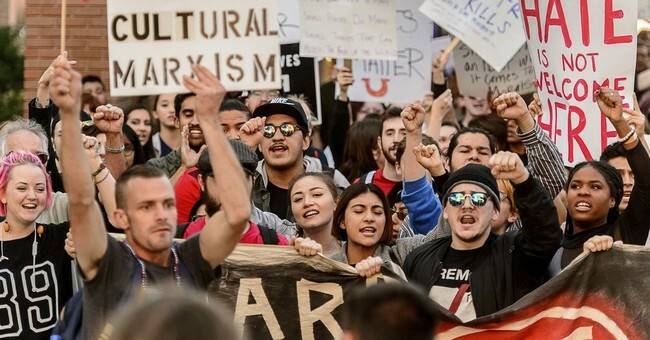 Students at Ohio State University protested Tuesday evening outside a campus lecture given by conservative commentator Ben Shapiro. While a productive and civil discussion is going on inside the event, the hypocrisy of the Left is on FULL BLAST outside the venue. YAF also reported that Ohio State’s Morrill Scholars Program’s student advisory council sent a message to students before the event advising them to seek a “safe environment” due to Shapiro’s presence on campus. "If you do not feel comfortable around a climate that will be created by Ben Shapiro’s presence, we encourage you to seek a safe environment for yourself. Knowing the hostile environment that can result from these kinds of events, we encourage you to seek an inclusive environment and reach out to talk with someone," the letter said. "If you do not have a safe space or prefer not to be alone, please feel free to join other Morrill Scholars and our staff on the MSP learning community on the third floor of Blackburn House tonight from 5 p.m. to 8 p.m. Thank you and stay safe." Shapiro joked about the irony of the situation on Twitter.